After a few great days in Belgrade, Serbia, it was time to get on the road and begin the actual road trip. When I originally decided that now was the right time to do my long-awaited Balkans trip, there were a few modes of transportation that I’d looked into. Trains were out of the question, as many of the lines were never restored post-war and those that were, are outdated and take twice as long as any other mode of transit. Our options were buses or driving – we opted for the latter for the flexibility in travel itinerary and timing – and despite what transpired, it was one of the best travel adventures I’ve ever had. 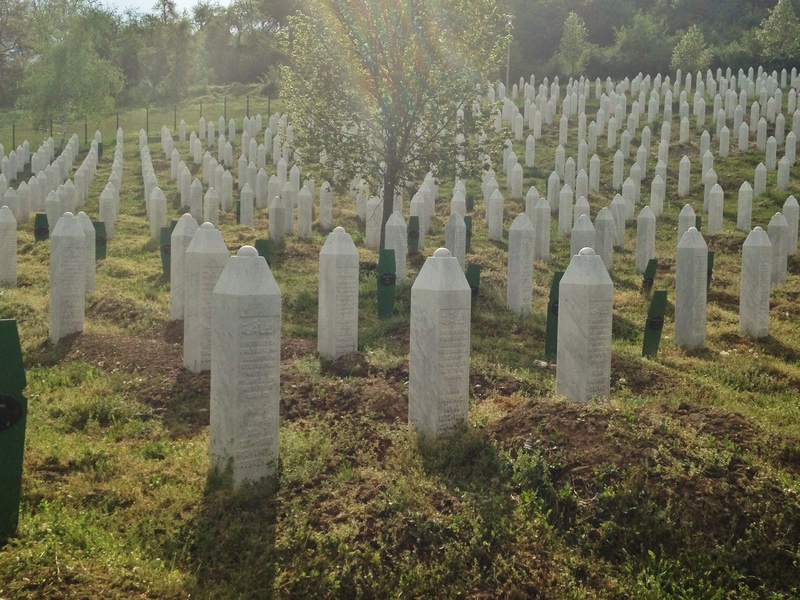 We took a detour to stop in Srebrenica – my thoughts are below – and so, in its entirety, the journey took us 8+ hours from Belgrade to Sarajevo, which is 120 miles as the crow flies. 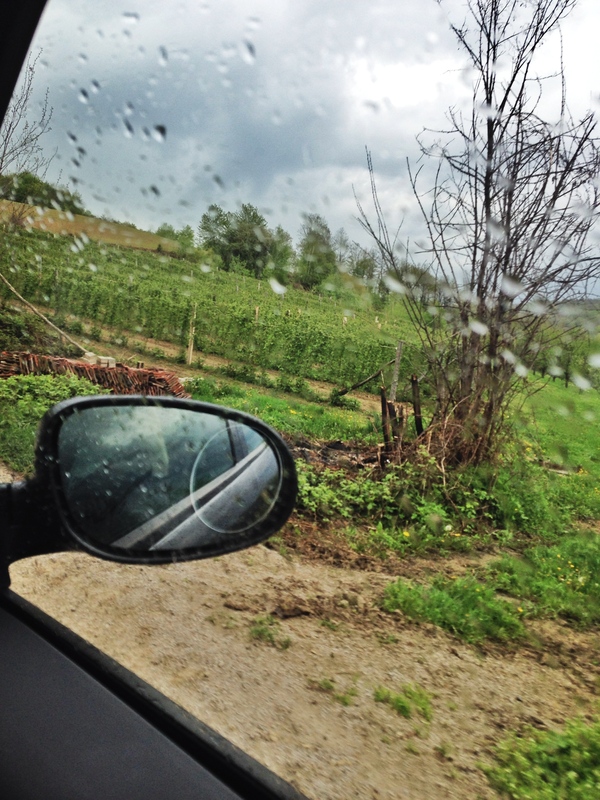 Stocked with a great Spotify music playlist, a bagful of pastries from Belgrade, and the best co-pilot/company a girl could ask for, we ended up having an incredible adventure – and one I won’t forget anytime soon. 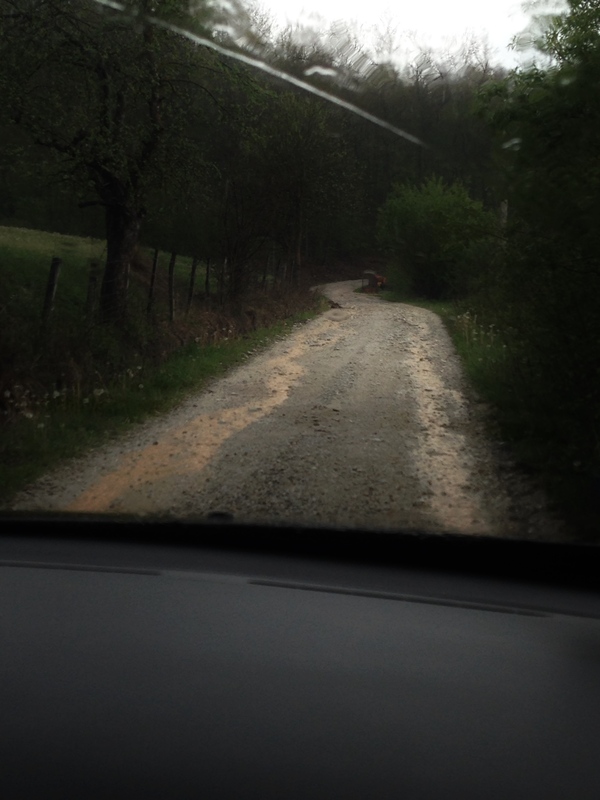 Beautiful Bosnian countryside, though we dared not step off the road to take pictures, for fear of land mines. I was 11 years old when the genocide in Srebrenica took place in July 1995. I had just finished 5th grade. I remember hearing the news coverage of the systematic massacre of 8300 Bosniak (ethnically Muslim) boys and men age 12-77 by the Serb army as the Dutch UN peacekeepers stood by and watched. Here’s a link for a brief recap of the history. 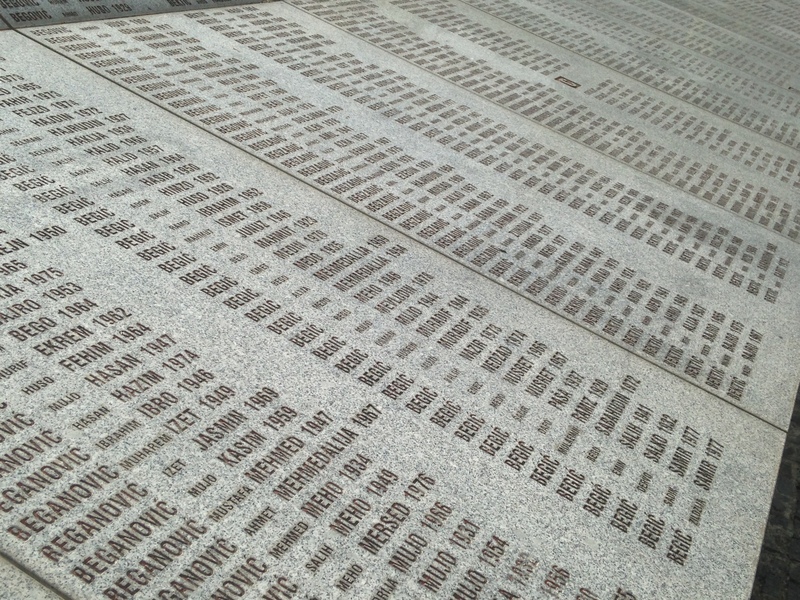 The moment we decided to make this a road trip, I decided I needed to stop in Srebrenica along the way. It’s not “my” history per se, but perhaps as a Jew (and as a former camp counselor who brought students to bear witness at the concentration camps in Poland), I felt compelled to acknowledge the history of the other 20th century European Genocide. What I didn’t realize until the night before, is that the day of our trip was Yom Hashoah – Holocaust Remembrance Day. I don’t want to add much commentary for fear that anything I might possibly be able to write risks making the experience seem trite. 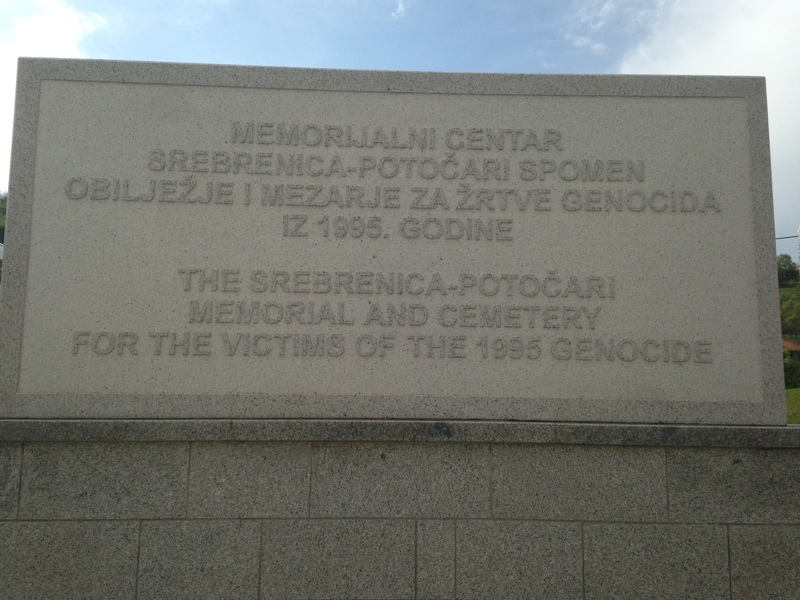 My only note is how particularly difficult it was to read the echoes of the Holocaust’s “never again” in the memorial prayer in the cemetery “…May mothers’ tears become prayers that Srebrenica Never happens again to no one and nowhere,” because it did happen, again – and in our lifetime – as the world watched, again. 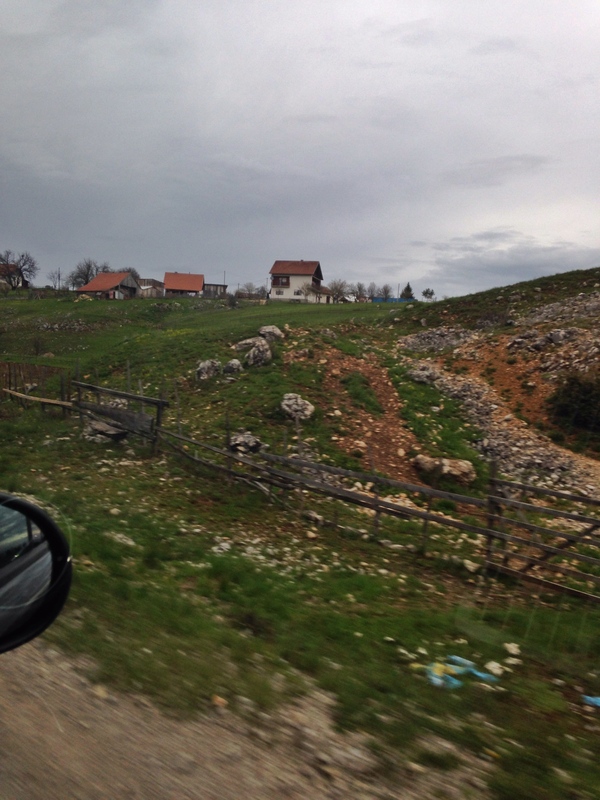 This entry was posted in Bosnia & Herzevgovina, Europe, Serbia. Tagged 1995, army, belgrade, bosnia, bosnia and herzegovina, bus, car, cemetery, conditions, drive, driving, ethnic cleansing, genocide, hercegovine, herzegovina, hours, how far, how long, journey, july, land mines, landmines, memorial, military, potocari, road trip, roads, safe, safety, sarajevo, serb, serbia, srebrenica, train, trip.